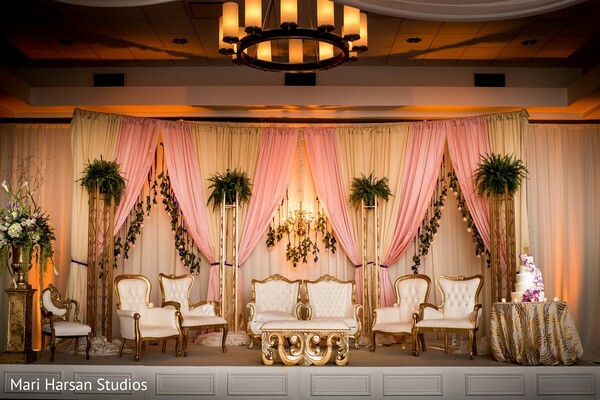 Beverly and Prasad really pulled-off a marvelous celebration to honor their big day and for that specific purpose, these two recruited the brilliant Drew Vanlandingham whose team not only supervised each detail but also created a magical ambiance with a creative set of lights! 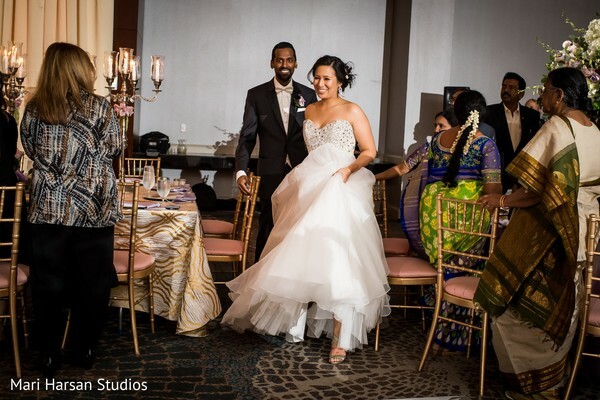 The Westin Baltimore Washington Airport's versatility allowed the newlyweds to go back indoors to enjoy their fabulous evening reception!. 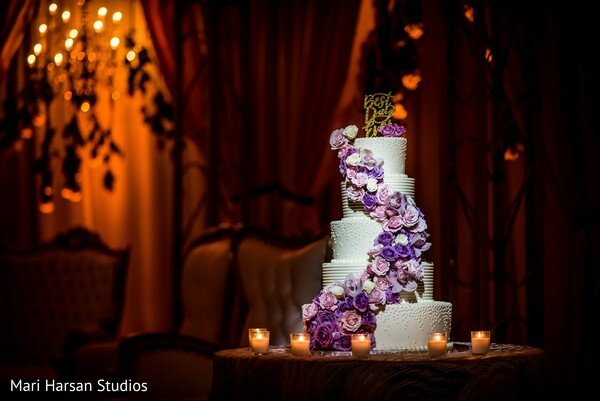 Lush floral centerpieces, as well as majestic candelabras, bedecked each table along with the splendid five-tier wedding cake that Artistic Desserts elaborated for the occasion and really wowed every guest as they enter the ballroom! 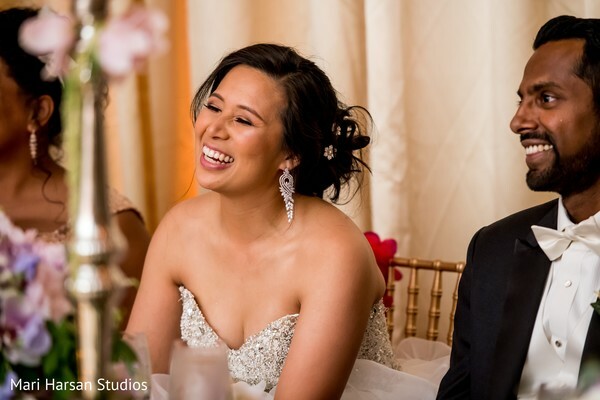 Monica Shah added the energetic excitement to the reception and provided the perfect song for Beverly and Prasad’s first dance. 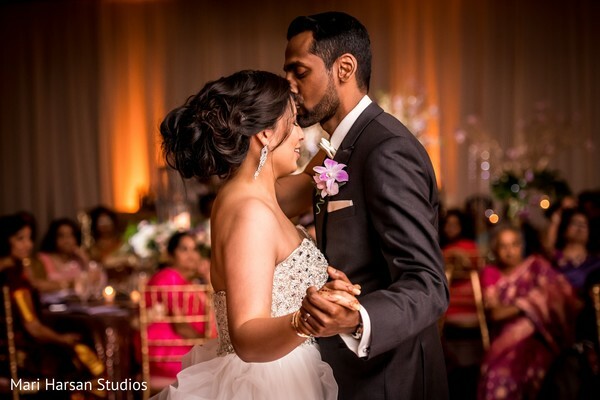 Mari Harsan Studios captured the lovebirds swaying at the dance floor while Paradise Indian Cuisine prepared to serve the incredibly exquisite variety of authentic Indian food! 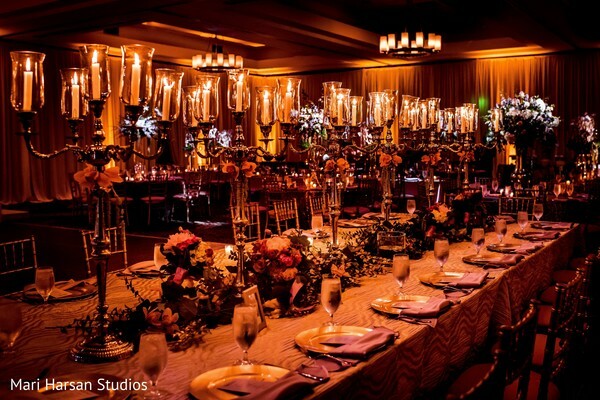 Discovery why this amazing soiree is one no one will soon forget in our full gallery! He persuaded me to change into something a little fancier so we can go to dinner somewhere nice. My suspicions were up! By the time I called all my close friends and family, they had already known and they were waiting to meet us for lunch and dinner. They're all a bunch of tricksters!!! Wedding planning was an experience! I'd say the hardest part was creating a fusion wedding between our expectations for an American wedding (white dress, officiant, etc), Chinese wedding (my background), and Hindu ceremony (Husband's parents). Balancing the parents' expectations with what we ultimately wanted was the biggest challenge. 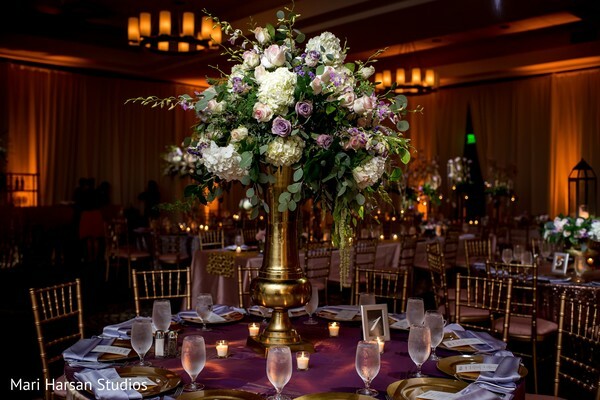 A challenge which was greatly reduced with the help of our wedding planner. He was the perfect balance because there is a lot of pressure on me to make a good impression on my husband's parents and make them happy. But at the same time, my husband and I were raised in America, so we always picture the white dress and a big fancy wedding cake. 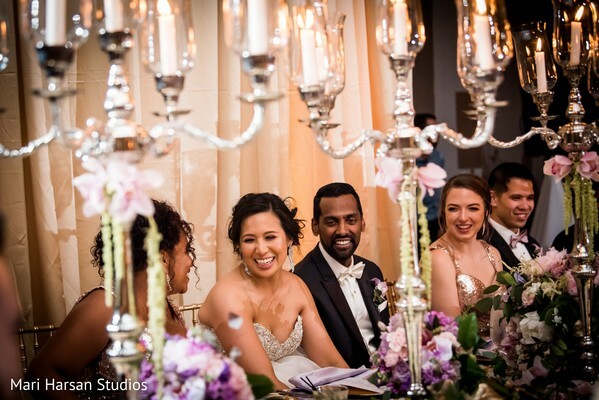 Our wedding planner was able to tastefully incorporate everything and break the tension. My mother in law made my saree in India for me. I told her my favorite colors and she did a great job picking it out. It was beautiful!!! My white wedding dress was selected by my maid of honor and mom. It was very fairytale which is what I wanted because I wanted it to be drastically different from the Indian attire. The best part was that I found out that I'm extremely lucky to have my husband. I mean, I knew he was awesome, but omg he is SO STINKING AWESOME! He had my back 100% of the time. He didn't make a single decision without talking to me and we were an awesome team. He is always looking out for my best interest and no one else's, it's such an amazing feeling to know there is someone on this earth who cares so much about how I feel and what I want. What are the chances that we found each other, right?!?! Many of our American friends have never been to a Hindu ceremony before, they had a lot of fun! They all took turns throwing rice and flowers at us, so it was very interactive and there is no way I would have allowed that in any other setting! 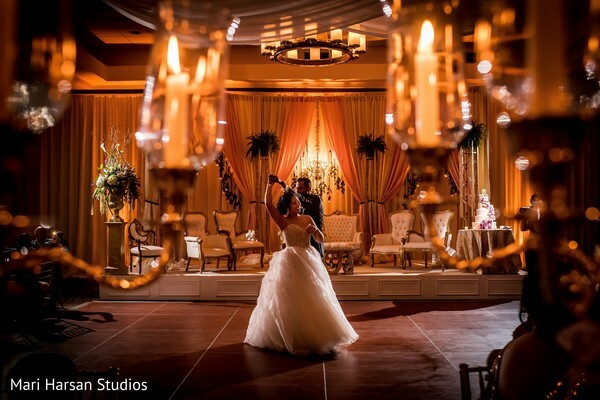 I also think all the guests got to experience two different settings. We had our Hindu ceremony inside on the mandap, and then our American ceremony outside on the lawn. It gave it two very dynamic experiences. Seeing Prasad in his Indian get up! He looks like a sparkling Aladdin! (sorry is politically incorrect?) But he was all fancy and looked so handsome! 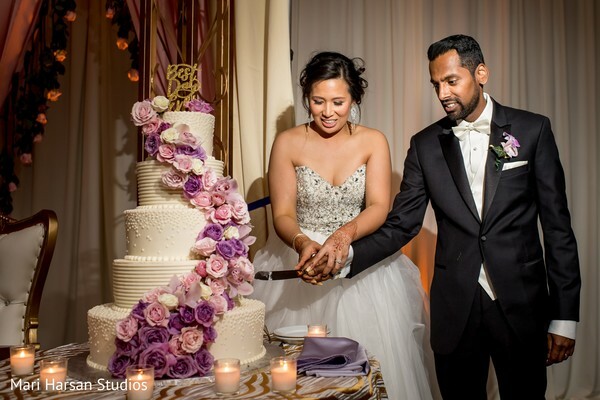 I loved the mandap, the flowers were beautiful, and the cake was DELICIOUS! JUST BE HAPPY! The day is about you and your husband, you can't control everything. My knock out vendors were my planner, cake, makeup artist and photographer, they nailed it! See you ladies on Monday! Planet DJ Productions and The Westin Baltimore Washington Airport are members of the Platinum Guide. Love what you see? Explore their portfolios.